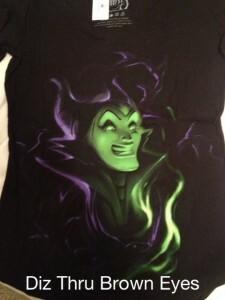 Today’s fabulous find item is a Maleficent shirt in the Disney Villains 2.0 by Noah Collection . The official name for the design is “Horns and Thorns”. I consider Noah to be very creative and love to see how he views the Disney characters. Noah has done several Disney prints and even designed Vinylmations. As a Vinylmation collector, I hope to add one of Noah’s to my collection. I found the shirt at Disney’s Hollywood Studios at Walt Disney World. 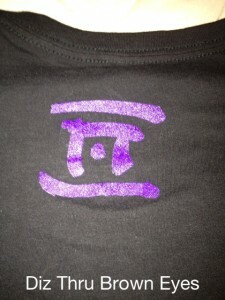 The shirt retails for $38.